MSNBC has been using the branding “The Contenders” to cover the already crowded field for the 2020 Democratic presidential nomination. The network has a full logo and stinger-style graphic designed for it, which has popped up on various times over the past weeks. In this look, “The Contenders” appears in what appears to be the network’s election graphics package font and features a star icon, tying it into “The Vote 2018” branding the network used for midterm election coverage. Also mirroring the “Vote 2018” look, the word “the” features bold lines above and below it. The look also features a background with portions of the presidential seal and an image of the White House, as well as blue and red stripe elements. 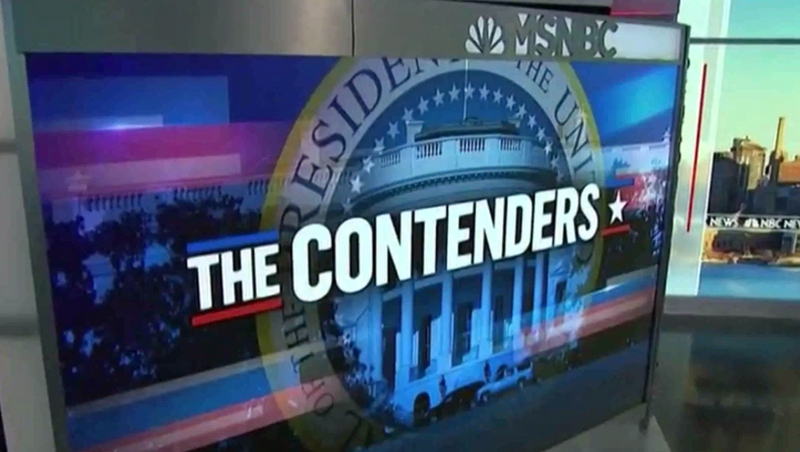 When used during rolling MSNBC programming, “The Contenders” logotype is typically placed atop the network’s generic “MSNBC Live” graphics package. 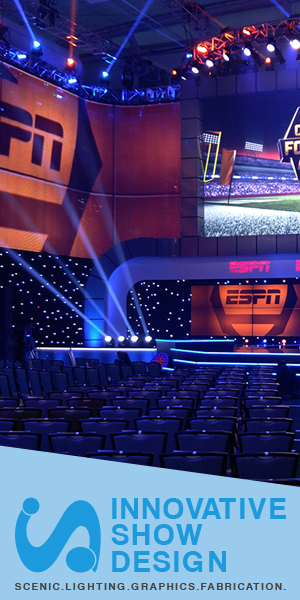 In this clip, taken from an “MSNBC Live” block, the freestanding video wall on the MSNBC side of Studio 3A displayed the stinger along with graphics of candidates and key facts about each in a video on video and walk and wander style segment.